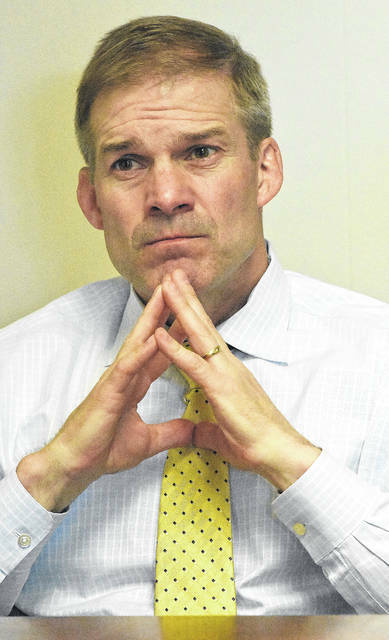 U.S. Rep. Jim Jordan, R-Urbana, listens to a question during a visit on May 29 to The Lima News. LIMA — Rep. Jim Jordan (R-Urbana) has considered the possibility of running for Speaker of the House, but before that happens, he said Republicans have to ensure they still hold a majority after the 2018 elections. “I said if and when there’s a race for speaker, I plan on being part of that discussion, but there is no race right now,” Jordan said during a visit with The Lima News on May 29. He’s relying on tax cuts and reforms on immigration and welfare to make it happen. Out of the three priorities Jordan mentioned, Congress has already acted on initiating tax cuts, which will either set an already hot economy on fire and raise wages or balloon the budget and pad shareholder profits, depending on which politician describes it. Jordan is looking to make them permanent. As for welfare reform, Jordan expects some version of the Farm Bill to pass that will include the addition of work requirements for those using the Supplemental Nutrition Assistance Program (SNAP), or food stamps. This leaves immigration reform as the issue Jordan and the Freedom Caucus needs to move on in order for conservatives to hold the majority in the House, which would allow Jordan to confirm whether he’s making a run for the speakership come 2019. Earlier this May, Jordan and other Freedom Caucus members sunk the House’s Farm Bill in order to push immigration reform back to the forefront. Jordan said the move wasn’t in response to the bill itself, but instead, it was a bill that could be sunk to make a point. Jordan said a number of moderate Republicans had been teaming up with House Democrats to reinstate some form of the Dreamer program, but their process wouldn’t provide the immigration reform that he says the American people want. Jordan said he wanted to prevent that move from coming to fruition. “If we don’t stay focused on doing what we told voters we were going to do, there may not be a race for speaker. There may be a race for minority leader,” Jordan said. 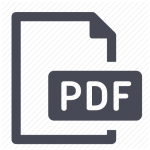 https://www.burgtelegram.com/wp-content/uploads/sites/17/2018/06/web1_Congressman-Jordan_-01co.jpgU.S. Rep. Jim Jordan, R-Urbana, listens to a question during a visit on May 29 to The Lima News.